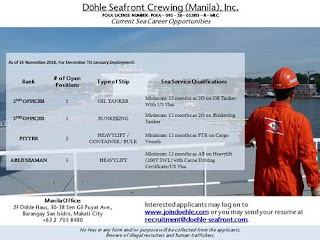 SEAMAN JOB INFO - Dohle Seafront Crewing (Manila), Inc. 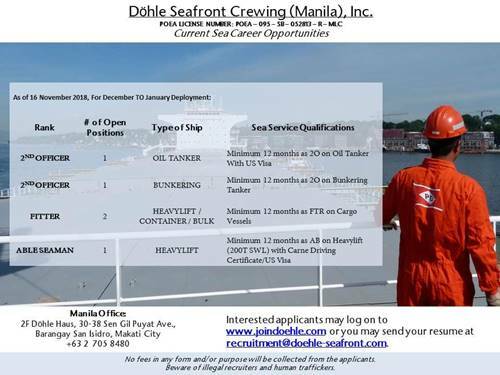 Available maritime careers for Filipino seaman crew join on Container, Bulk Carrier, Oil Tanker, Bunkering, Heavylift Cargo Ship deployment December-January 2019. 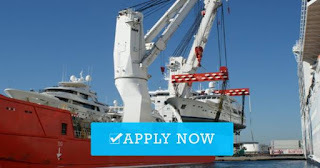 0 Response to "Able Seaman, Fitter, 2nd Officer For Cargo Ship"